Possibility to spend the night at Jakarta airport (CGK), if open 24 hours. Services available, places to rest (free resting zones), or look for the list of nearby hotels and vip lounges.. If you have a flight early in the morning, you will be able to spend the night inside the airport, as it is open 24 hours a day. Have something warm prepared, as the air conditioning is strong, and be mindful of your boarding time, because distances are great. Where to rest: The Departures Halls are quieter than the public area and the seats are generally made of metal, but they do not have armrests. In addition, in the check-in area of Terminal 3 you will find padded couches. 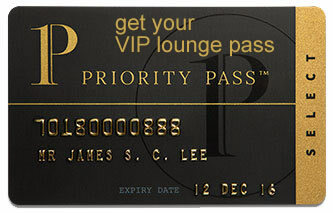 Several VIP lounges are available inside the airport, providing more amenities and privacy, although they close at night. SEE VIP LOUNGES Inside terminals 1 and 2E, on the other hand, there are hotels. Baggage: Luggage storage offices available in terminals 1 and 2. Eating and drinking: Options open throughout the night in all terminals. Restrooms: Showers only inside some VIP lounges. Wi-Fi: The service is free. Other services available around the clock: ATMs, convenience stores, minimarkets, children's playgrounds, baby care facilities. The Jakarta Airport Hotel (Tel +62 215 590 008) is located in Terminal 2E, while in Terminal 1 you can find the D'Primahotel Airport Jakarta Terminal 1A (Tel +62 215 591 6432). On the other hand, in all terminals there are reservation desks, and some accommodations nearby provide transportation for their guests. FM7 Resort Hotel (Tel +62 215 591 1777), POP! Hotel Airport (Tel +62 212 940 5678), Ibis Styles Jakarta Airport (Tel +62 212 932 7777), Sheraton Bandara Hotel (Tel +62 215 597 777), Airy Eco Bandara Soekarno-Hatta Suryadarma 56 Tangerang (Tel +62 804 111 2479), Cengkareng Transit Hotel (Tel +62 852 1388 0707), Orchardz Hotel Bandara (Tel +62 212 966 7777), Hotel Amaris Bandara Soekarno (Tel +62 215 436 5333).